Flora was inspired by our natural world. These pieces reflect the beauty found in plants. All views are enhanced with a ruching technique applied to a basic leaf or petal. Embellish them as you please, creating an everyday or dressier version. 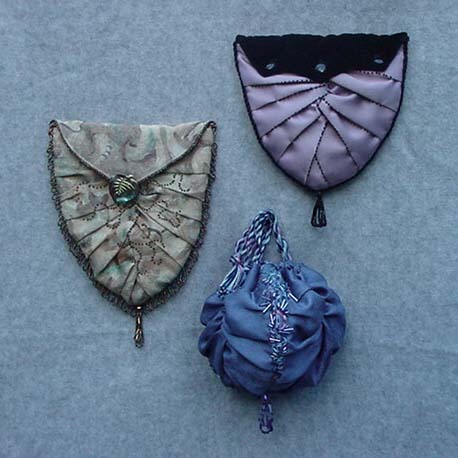 Options include shoulder bags or a three dimensional wrist purse.